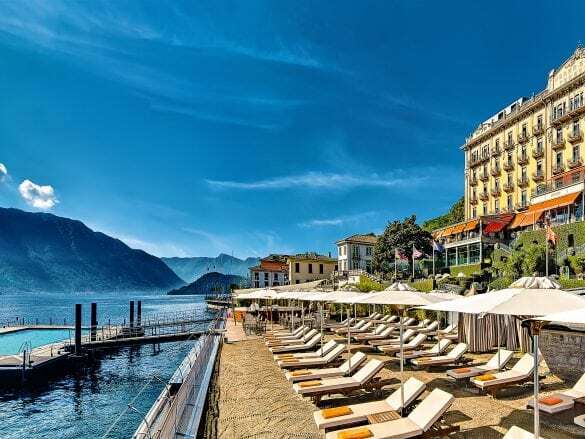 Grand Hotel Tremezzo is exactly what you would expect a hotel on Lake Como to be like – a grand façade, amazing views, classic Italian décor with contemporary touches, manicured grounds. It is simply phenomenal. The only thing missing is George Clooney (and hey, you never know!). The grounds. 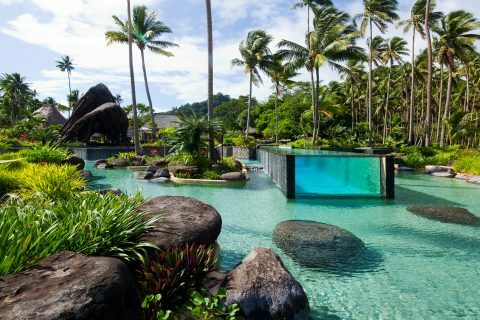 With three pools (one floating on the lake, the second in the garden, and the third in the spa), a private sandy beach, a clay tennis court, walking trails, period wooden boats, and beautiful gardens, there is plenty of exploring to be done outside without even leaving the area – if you can tear yourself away from the exquisite rooms! Experiencing the spa. Tucked in an 18th century villa, the award-winning spa is a must. Indulge in rejuvenating massage or facial and enjoy beautiful views of the lake. The hotel features five different restaurants and bars, so you can have a variety of Italian dining experiences. 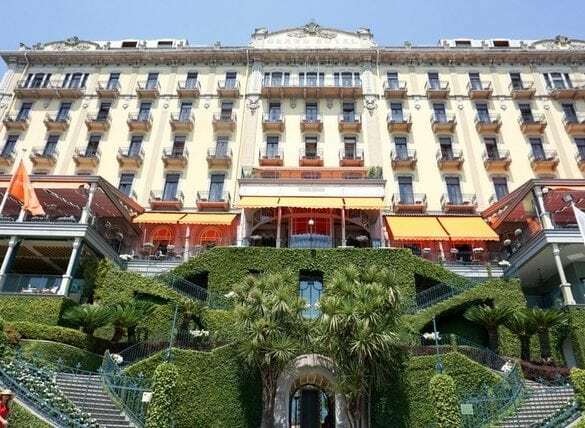 La Terrazza Gualtiero Marchesi features gourmet seasonal cuisine and an incredible view of the lake from the terrace. L’Escale Trattoria & Wine Bar is a more casual spot that offers a contemporary twist on traditional dishes. Dine by the lake at T Beach or by the pool at T Pizza, and spend your evening listening to live piano music at T Bar. Villa Sola Cabiati is just the place! Located two minutes from Grand Hotel Tremezzo, the aristocratic Villa Sola Cabiati is a 6-bedroom 18th century villa that comes with 24-hour butler service, a private chef, Italian gardens and park, heated outdoor pool, private dock, and more. 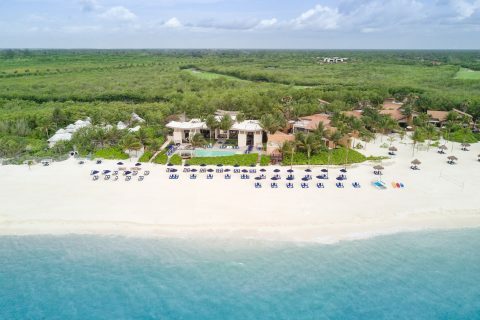 Plus, you can use the spa, tennis courts, gym, beach, and pools at the hotel. 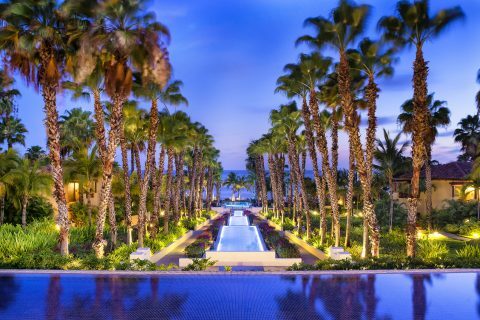 A private villa + hotel amenities – it’s the best of both worlds! Grand Hotel Tremezzo is located in the middle of the lake across from the village of Bellagio (a quick 10 minute boat ride away!). From the hotel, you explore different areas of the lake by boat…Como to the south or Menaggio to the north. Fly into Milan’s Malpensa airport (MXP), and then the hotel is an hour away by car. Your Brownell Advisor can arrange a private transfer so you can arrive relaxed and ready to experience Lake Como. If the lake view rooms aren’t in your budget, go for the garden-view rooms! The view from the back of hotel is still gorgeous, and you can enjoy views of the lake during the day.